According to recent scientific research, the Earth may be experiencing increased earthquake and volcanic activity. While there is some debate that this may be a statistical anomaly because of better recording, rather than a real increase, there is no debate that earthquakes and volcanoes remain some of the scariest and least predictable of natural catastrophes. Interestingly, there is now a belief that humans may be responsible for some of the increase in seismic activity. There is data that suggests that fracking and waste water injection into the subsurface of the earth have been responsible for increased seismic activity in the Central United States, and Oklahoma in particular. While there may be no consensus on what is causing this increased activity, the fact remains that Oklahoma can now expect to experience seismic activity on par with California. While standard homeowners and commercial property policies typically do not cover direct damage from earthquakes, policies may cover some resulting damage from causes of loss such as fire and carriers will often offer earthquake coverage as an additional coverage. For minor earthquakes the exposure for insured losses remains small, but for major earthquakes there is the potential for large insured losses. 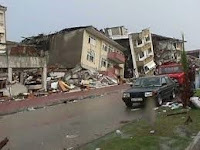 For example, major earthquakes in Japan and New Zealand in 2011 resulted in insured losses that have been reported as high as $40 billion and $16 billion respectively. More recently, the April 2016 7.8 magnitude earthquake that struck Ecuador had insured losses estimated between $325 million and $850 million. Surprisingly, in the face of this increased earthquake risk, it appears that many homeowners may be foregoing earthquake insurance. In fact, since the 1994 Northridge earthquake in California, the percentage of homeowners with earthquake coverage has reportedly decreased from 30% to about 12%. More than likely this is driven by the fading memories of the damage caused by the Northridge earthquake and the high cost of earthquake insurance. However, with increased seismic activity in the Central United States and the projections of a major earthquake in California increasing, those numbers may increase. While coverage for damage caused by volcanoes is more common in insurance policies, volcanoes tend to be more remote and have less direct impact on inhabited areas. For example, while the 2010 eruption of Eyjafjallajökull volcano in Iceland caused a dramatic shutdown of air travel in and out of much of Europe, the incidence of insured loss was not great due to the limited direct physical damage caused by the ash cloud. Typically, coverage for business interruption requires that the interruption arise from direct physical loss to insured property or to a dependent or contributing property for contingent business interruption coverage. Therefore, the absence of direct physical damage from the eruption meant that insured losses were minimal. However, as the population of the Earth continues to grow and more development encroaches on areas prone to volcanic activity, it can be expected that major eruptions may bring more insured damage.